Courtney Emma Therien's practice focuses on counseling nonprofit entities, individuals, and foundations in charitable planning, and providing legal guidance with respect to entity formation, operational and governance matters, board disputes, and mergers and dissolutions. In this role, Courtney works closely with attorneys from our Tax and Private Clients practice groups. A frequent scenario involves a high net worth client who intends to establish a foundation or engage in other planned philanthropic activity. Courtney will, in close consultation with the client, create and establish the appropriate entity structure, set up necessary operational guidelines, determine the grant structure, if needed, and manage the incorporation of tax strategy into the overall planning process. This is particularly important given that funding a foundation typically generates large tax deductions, which must be accounted for and verified. 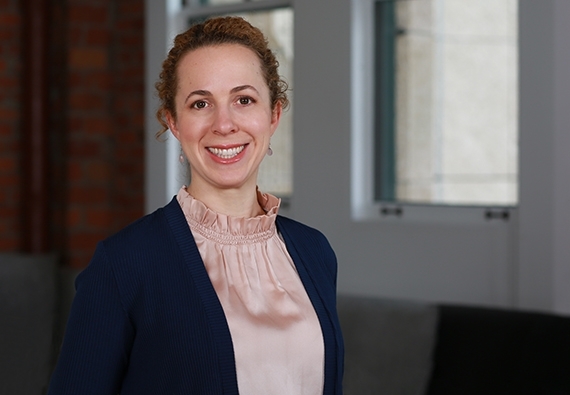 Courtney works closely with a broad spectrum of other professionals, including philanthropic advisers, accountants, business managers, and financial advisers. At the highest level, her process involves a great deal of careful listening, then constructing and designing an entity that will best meet the client’s objectives. A client who believes she needs a charitable trust may better attain her goals by creating a foundation, for example. An increasing area of activity is in non tax-exempt philanthropic work, in which the line between traditional philanthropy and for-profit businesses is blurred. An example might be the development of an app to organize communities for political activism. The technology itself might be owned by a for-profit entity, with a connected nonprofit which uses the application, and solicits donations and contributions in the traditional manner. Clients typically have a relatively clear idea of what they’d like to accomplish with their philanthropy, and the resources available. Courtney’s role is to guide them in making that vision a reality. Outstanding Volunteer Award from the Bar Association of San Francisco’s Volunteer Legal Services Program (2010, 2011, 2012 and 2013). Board of Directors of the Curry Senior Center. I focus on unique and non-traditional philanthropic structures for the charitably inclined and guide nonprofit organizations to achieve their mission.